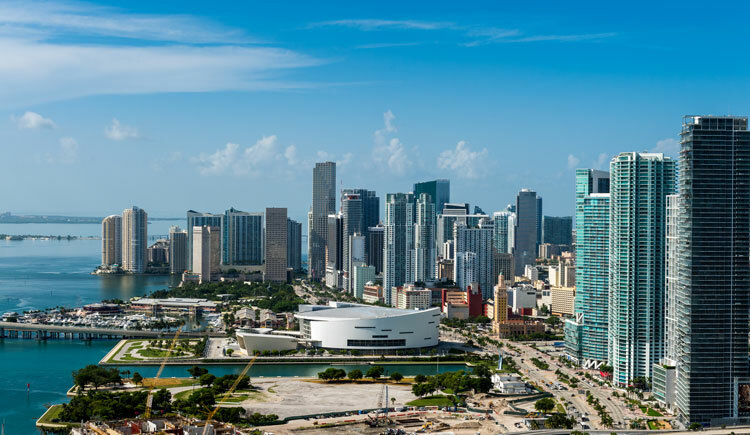 Washington, D.C. — U.S. Environmental Protection Agency (EPA) Administrator Andrew Wheeler announced a $99.7 million Water Infrastructure Finance and Innovation Act (WIFIA) loan to Miami-Dade County, Fla., to finance advanced wastewater infrastructure upgrades. Miami-Dade County’s project is estimated to cost $203.5 million. EPA’s WIFIA loan will finance nearly half of that amount — up to $99.7 million. Additionally, the Florida Department of Environmental Protection will finance approximately $59.8 million from its State Revolving Fund. Because both the WIFIA program and the Florida State Revolving Fund loan program offer low interest rates, the county is expected to realize significant cost savings. The WIFIA loan alone will save Miami-Dade County an estimated $15.7 million compared to typical bond issuance. Project construction and operations are expected to create 95 jobs. EPA Administrator Wheeler was joined by U.S. Representative Mario Diaz-Balart and Miami-Dade County Mayor Carlos Giménez who made the announcement at the South District Wastewater Treatment Plant.